Whether or not you’ve already attended treatment or are just trying to live a sober life in order to avoid your genetic tendency toward a dependence on alcohol, trying to maintain your lifestyle amid a society so heavily dependant on alcohol as a social lubricant can be difficult. You can’t stop living. So in an effort to make it easier for you to maneuver through a drinking culture and retain your sobriety we’ve put together a list of excellent beverage alternatives that you can use when you go out with friends, are out for a work event, or whatever takes you to a place serving alcohol. Finding a go-to alternative can help you to not feel deprived when everyone else is having a drink and it also helps you avoid having to answer any questions about why you are not drinking if you are not around those with whom you can be open about the more personal details of your life. Mocktails, or non alcoholic drinks that are made to look like alcoholic beverages, are used by a lot of different groups of people. Women who are pregnant often utilize mocktails as a form of celebration in lou of alcohol. People who are unable to drink due to medical reasons enjoy mocktails when others are drinking, and many recovering alcoholics out there have adopted the practice as well. Just having a drinkin your hand can reproduce that feeling of social calm because it is often the ritual of ordering that beverage and sipping it to keep your hands busy that relaxes someone. It doesn’t have to be a social nightmare to stop drinking. Shirley Temple – The Shirley Temple is a classic mocktail, named after the child star, Shirley Temple. Some may think of it as a child’s drink but a Shirley temple is one of the original drinks that looks like a cocktail. It is sweet and colorful and a great alternative for those who suffer from an addiction to alcohol, are pregnant, or following a doctors orders to abstain from alcohol for some other reason. The drink is made only of grenadine and sprite, so you can be sure that every bar will have the beverage and any restaurant that serves cocktails will have these ingredients. Shirley temples are frequently served at baby showers as well. These ingredients are also readily available at almost any grocery store. Sparkling Water with Lime – Sparkling water with lime is a classic mocktail. If you don’t like grenadine, or if you don’t like to drink soda, sparkling water with lime is low on the calorie count and while the lime adds a little twinge of sweetness, it is more refreshing than anything any other mocktail you will try. This makes it an ideal beverage for the summer. 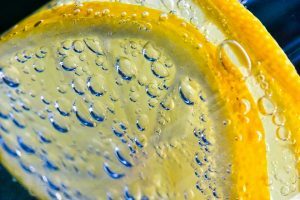 You can use fizzy water, seltzer, or tonic and any form of citrus and most bars have everything from lime to oranges that they could add to the fizz for you. This beverage looks just like a vodka tonic and is a great drink to nurse through the night if you are looking for a healthy option that will help you blend into a Friday night scene. Coke – If you enjoy soda, let yourself indulge in the sweet prickle of carbonation that a cold coke or pepsi leaves on your tongue. Without spiking your beverage with a couple of shots of rum or whisky, coke is such a great alternative to an alcoholic beverage because it is so frequently an ingredient for an intoxicating drink. No one will know you aren’t drinking a double and you can indulge in a drink that perhaps feels like a no-no most of the time. Avoiding a relapse is a great reason to spend a few calories on what may not be a great everyday thirst quencher. Plus, everywhere you go out will likely have some form of a cola soda that you can sip on while everyone else around you is drinking. Half Orange Juice, Half Cranberry – When put together correctly, the swirl of colors of this beverage can resemble a tequila sunrise and some people believe it tastes much like a screwdriver. If you are jonesing for a drink, this is a great option because not only will those around you be none the wiser that you aren’t also drinking an alcoholic beverage but you can also make be secure in knowing that you are indulging in something that perhaps feels nostalgic but with the knowledge that while the drink may taste like an old favorite, it is not going to become a pitfall for your sobriety and take over your life the way your addiction once did. After you’ve gone through the treatment programs at 1st Step Behavioral Health alcohol and drug rehab Ft. Lauderdale, you will come out with the life skills necessary to battle for your sobriety in the real world. With the help of your continuing treatment after residential detox at a Broward County drug rehab facility for alcohol addiction there will be nothing more important for you than maintaining the progress you have made. Preparing for these moments where you are out with friends or around alcohol for whatever reason is one of the best strategies to achieve success in a alcohol laden world. Find help that will get you through the addiction. Call us today.